The town of St Andrews is world famous for two major reasons: its historical University and its golf courses. The University of St Andrews is the 3rd oldest University in the English-speaking world and it is considered by many experts to be the 3rd best University in the UK, bettered only by Oxford and Cambridge. It is also of course, the place where Prince William met the future Duchess of Cambridge whilst they were studying together there. St Andrews has always been strongly associated with golf throughout its history with its famous Old Course dating back to Medieval times, and it regularly hosts the Open Championship, one of the four major tournaments on the professional golfing circuit. Film fans will also be aware that St Andrews is famous for a third reason, as its West Sands Beach was used to film the iconic opening scene of Chariots of Fire. The town itself is surprisingly small given its status on the world stage, and is unsurprisingly very popular with tourists, as well as golf fans, who can take a pleasant stroll down its Medieval streets and enjoy impressive views from the 12th Century tower at St Andrews Cathedral. 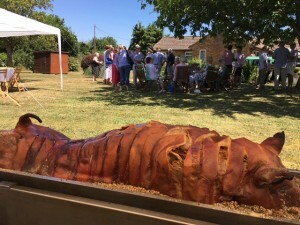 Not only do we provide the best hog roasts in St Andrews, we also have the versatility to cater for all different types of events, regardless of the location, occasion and the dietary requirements of your guests. Hog Roast St Andrews are the ideal catering option for a corporate buffet after a day on the golf course or a formal 3 course meal at a graduation party, as well as wedding receptions, birthday parties and everything in between. There is always a lot going on in the town and the Hog Roast St Andrews team are very proud of how many events we have been involved in over the years. 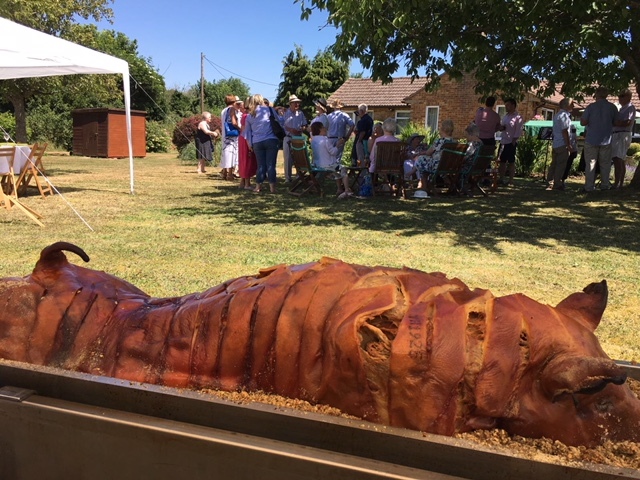 You may not have considered a hog roast as a catering option for your event before, but once you have sampled our superior quality, locally-reared pork served as part of one of our varied and well-designed menus, we can guarantee that you will become a hog roast convert. With Hog Roast St Andrews at the helm for your special day, every single detail will be absolutely perfect.